Italy is one of the world's most beautiful destinations, renowned for everything from its food and wine to its wonderful beaches. But did you know Italy is also home to some breathtaking lakes? Soak in the serenity of their glassy surfaces by visiting the country's lake region in the north. Frequented by everybody from celebrities such as George Clooney to backpackers, there is something for everybody. Here's a little more about three of the region's most stunning lakes and what to do when you visit. 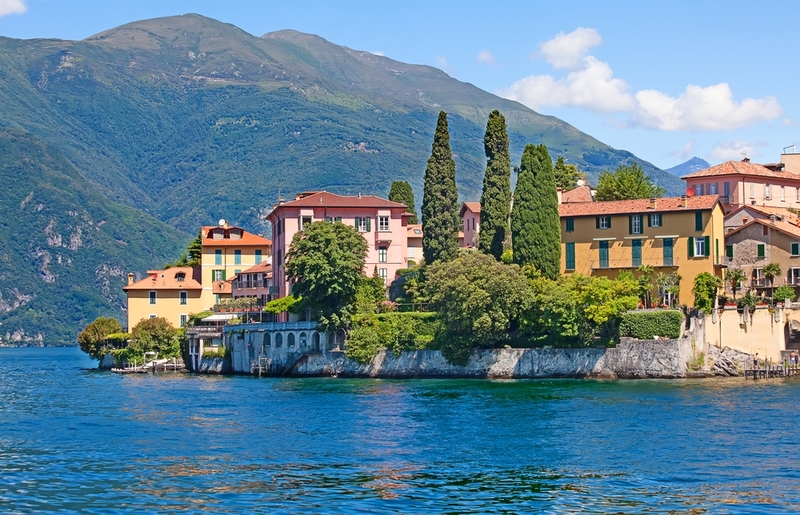 Lake Como is one of the lake region's most glamorous destinations. With a total area of 148sqm, there are a number of villages surrounding it. Bellagio is one of the most popular to visit, known for its romantic atmosphere and fantastic lakefront access. At Bellagio, you can go pleasure cruising on the water or lounge on the banks with a wonderful view. You can also enjoy the town's attractions. There are a number of churches and historic buildings to peruse, such as the quaint Saint Maria Annunciata di Breno Church, which was built in the 16th century. Be sure to venture inside and gaze upon the lovely religious artwork and decorative altarpieces. Or you could take the short walk to the Sacro Monte of Ossuccio, which is a series of chapels and a sanctuary built in the 16 and 1700s. The path you'll walk follows through the chapels, as well as lush olive tree orchards. You'll also get marvellous views from up high of Lake Como below. This is another gorgeous lake in the region. It's also the longest, stretching on for 65km. One place is to visit is the upper section of Lake Maggiore, which brings visitors close to Switzerland. There are charming villages around this part of the lake, such as Ghiffa, known for its quirky touches such as a museum dedicated to hats. The village of Cannero, on the other hand, is home to some beautiful old ruins and nearby Malpaga Castles. Savour a peaceful walk along the lakefront promenade, which will treat you to the lovely views of the ruins located on tranquil offshore islands, a stunning sight in themselves. Make sure you also take in the village's gorgeous plant life, ranging from lemon and lime trees to brightly coloured camellias. There are well-manicured gardens throughout the village that add to its tranquil atmosphere. In the town of Cannobio, you can enjoy a variety of landscapes. There's everything from expansive vistas of the lake's rich blue and green waters, to views of the steep and sheer peaks of Monte Limidario, which is 2,189 metres high. Lake Lugano is the smallest of these three lakes, and much of its area actually lies in Switzerland. However, you can still visit the Italian side of the lake towards the east, where you'll find the town of Porlezza. Here, you can enjoy plenty of cafes that serve genuine piping hot Italian coffee. Of note is the relaxed, laid-back way of life you can get swept away in here. As you walk the enchanting streets of Porlezza, look out for its medieval features such as the Saint Maria dei Miracoli church. It's also a great base for exploring the surrounding countryside, featuring hiking trails with views of mountains. At the nearby town of Cima, you can also visit lovely grottos and waterfalls such as the "Grotte di Rescia" with fascinating stalactites and stalagmites. These three lakes are all of supreme natural beauty and have fantastic attractions for visitors – so make them your next holiday destination.